Topics: Vision, Identity, Ministry & Mission, The Bible, Following Jesus, and General Secretary. 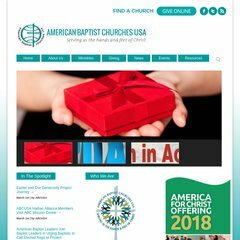 pchelp.abc-usa.org Computer Information provided by the American Baptist Computer ..
257 users visit the site each day, each viewing 3.10 pages. It is written for ASP.NET language. Its 3 nameservers are ns1.paetec.net, ns3.paetec.net, and ns2.paetec.net. Mobilenow Inc (Nebraska, Papillion) is the location of the Microsoft-IIS/6 server. PING (208.88.78.22) 56(84) bytes of data. The server is slower than 46% of measured websites, at 1953 milliseconds. Also a time of 39.3 ms, is recorded in a ping test.